I have received my Invoice for my ASCA Membership #35417 for the coming year. therefore I will not be renewing my membership with ASCA. has been so very valuable during my career. Thank you everyone for providing professional and quality information. It’s my pleasure to be able to help out in this way. My business is doing well and is the motivation for supporting ASCA in this physical way. If it wasn’t for you getting me started back in 1986 and the support of the entire ASCA staff throughout I would not have had this opportunity. In fact there’s a much better chance I would be out of the coaching profession if it wasn’t for the positive effect that SwimAmerica has had on my competitive program. More than once over the past 30 years the income derived from SA has saved my team. I appreciate all you and the ASCA board/staff do on a regular basis for the many coaches and aquatic professionals here and around the world. Ohio LSC & Central Zone Disability Chair USA Swimming National Disability Comm. First let me start by saying thank you for all you have done over the years for the sport of swimming including the ASCA clinics. As a young coach, ASCA has set the foundation for me to expand on my own personal experience and become the best coach I can be for the athletes. Thank you! My name is Paul Winkeler, I was the head swim coach at Rockhurst Jesuit High School in Kansas City, MO from 1999-2014; I “retired” from coaching in 2014 when I was asked to take on an administrative role at Rockhurst. From 2005ish-2014 I was proud to be a member of ASCA. During that time I earned my Level 5 certification, a process that completely molded me into the high school coach that I was. I can truly say that there was likely no other more impactful aspect of my coaching than ASCA. I am truly indebted to your association. I am very excited to notify you that I am returning to the coaching ranks this fall. I teach at Rockhurst High School and there was a sudden need for a head coach, so I gladly accepted the position. I could not imagine being a swim coach and not be a member of ASCA, I am very excited to again be a part of your association. Things kind of happen in 3’s sometimes – messages meant to teach a lesson. 1. Yesterday, I was reading and appreciating Guy’s recent article “Set the Table” in ASCA magazine. Great stuff! 2. and that article led me to reflect on a time years ago, when I was privileged to participate in one of John’s stroke school courses…and you encouraged coaches to create images with the words or teaching cues they gave athletes about technique in the water. Leonard Roxon’s email was sent to express his gratitude to me and Vasa for creating a useful training tool which apparently has been instrumental for them in Katerina’s preparations. In his email, there was something in particular that stood out to me. He wrote that while his profession is physical therapy, swim coaching is his hobby and he does it to get young people to dream big. That is so profound. I am a big believer in visualization and dreaming big, and I know you are too. His note got me thinking a lot about my own dreams and how some have faded or accumulated some dust! Time to get moving and dreaming big again! I think it takes awareness and practice to become skillful at creating positive vision. And it takes know-how to get the visualization process to work well. Some do it naturally, some do learn it, and some never do. It takes patience and persistence and undying belief in oneself to manifest that positive vision – whether you are a coach, athlete, business leader, or parent. Perhaps just as important, people must understand and accept that the light which illuminates our vision must come from within, not from outside. IMO, the work you guys do at ASCA truly empowers coaches to learn about this powerful stuff. I am very grateful to you for that and and all you do for ASCA members and friends. I wish you well as you strive toward achieving your positive visions. Just read your article about “setting the table”. I LOVE the story. Whether you consider it an idiom, analogy or metaphor, it’s a story that young people can relate to. I also appreciate the values incorporated into setting the table – servant leadership, preparing the way, self-discipline, community and order. The best part is your follow up with the athletes the next day. Many lessons are “in one ear and out the other”. Your follow up will make them think about application and implementation. I think the phrase might be T-shirt worthy!! Thanks for making me sit up and take notice of the article today. and I continue to review some of the course material each day. I am on my second pass thru the material and I continue to find more great learning’s to add to my tool box. THANKS for the great course! I am grateful I had the opportunity to hear you speak. I made the decision to focus my coaching career on working with 12 & unders 22 years ago, and hearing you talk about how great it is to go to work every day, and how you endeavour to teach life skills and values mixed in with a little swimming reassured me I am still on the right path doing what I should be doing! So, thank you! I also bought a bunch of the home study books while I was there. I have looked at them every day since, and have found many useful gems in articles you and others have written over time. I might even work on the actual courses at some point! Thank you again for your talks, articles, and for ‘the rules’. They are all just what I needed right in this moment in my life as a swim coach! I thought I would send you a picture of one of my little groups standing in front of my newly hung white board today. I thought it fitting that the first thing I wrote on it was the 3 Immutable Rules of Improvement, since we have been discussing them in some way daily since I got back to Cranbrook, British Columbia, Canada from the 2016 ASCA World Clinic. Or first practice of the season was the day I flew home. I made it to the pool with a half an hour to spare! This is what your courses did for us in our last season!!! This is why I love your courses! We had it embroidered on track tops for a short course meet. Now our mantra. I brought a large piece of jigsaw linoleum, cut it up and placed the pieces with the mantras around the pool. All parts of the puzzle that must fit together for success. Selected swimmers for an Aquatic Academy High Performance Squad. The swimmers signed the contract (Copy at end of letter) with THEMSELVES and to be pasted on their cupboard doors. Finally attended Level 3 wih Larry Larson at Tuks University. Our swim standard has improved dramatically. 3 swimmers selected for the Provincial Strategic Development Squad. All my swimmers have greatly improved – Some swimmers times have dropped so dramatically that there “are rumours”. I met you today at the aqua zone. I’m the parent who is not a coach but subscribed a year ago just to get the publications and articles. Being a former basketball player, I knew little to nothing about swimming. Having three children that got into swimming and loving them and wanting to be more involved, I subscribed to the American Swimming Coaches Association. It’s a decision I’ve never regretted. The journals and newsletters have been very informative and have enabled me to learn more about the sport and to relay what I’ve learned to my children. I would highly recommend! I just wanted to say thanks for the wonderful teaching that I have received from you! I am beginning a new team in Central Texas, and you have inspired me greatly. I especially will remember the joy in your eyes as you talked about coaching 10 & Under age-groupers. It is exactly that experience of joy for me that has inspired me to start Monster Swimming. I also really appreciated the lessons in physiology. I’ve always been a fan of science. Is there a book that you would recommend on the physiology of competitive swimming? By the way, it just so happens that my wife and I spent many years in South Florida, Boca and Delray to be specific. In fact, we had our first child in Boca Raton Community Hospital. I used to travel down to Ft. Lauderdale on a regular basis for business back then. That was when I made “the big bucks” in construction, before 2008. I hope that someday we’ll get to meet. for your time and efforts this weekend at the 2016 Big Ten Coaches Clinic. It goes without saying that having some of the most innovative coaches in the world made the weekend’s presentations worthwhile but I also found that all the presenters were very engaging and willing to answer all questions making all in attendance feel welcome to participate. As I spoke to coaches during and after the clinic, they felt energized about the experience and excited to go home and share what they had learned. The format was very unique not only offering attending a D-I swim meet and watching some of the world’s best athletes in action but having the opportunity for our young athletes to learn from their elite peers in our sport was an experience they will carry with them throughout their swimming lives. Hopefully this clinic will grow and reach even more coaches and athletes in the future. Thanks for all you do for swimming and having such a positive influence so many. I wanted to catch you at the ASCA Clinic this year to tell you this personally–but, as you know, time can fly at the clinics. I just never seemed to be able to find you at the right time! I can’t thank you enough for what you have done as a leader at ASCA. A good portion of how I make coaching decisions today as an “experienced” coach is based on two factors: (1) experience, both good and bad, and (2) the volumes of information I have learned through ASCA-sponsored schools, books, videos, and clinics. In my early days of coaching, I relied heavily on the materials provided by your organization to help my get my bearings and develop my philosophy. Ten years later, I still feel like you are putting out material that is helpful, and even vital, to my continuing career. When we welcome a new coach to our team, or when I meet a new coach for any team, the first two things that I tell them to do is “find a mentor” and “join ASCA.” If you can’t do #1, at least do #2, and let John (and his friends) be your mentor! I simply can’t measure the positive impact you’ve had on my career through the work you’ve done at ASCA. Thank you for what you have built, and the work you continue to do for our sport. I want to thank you for hosting the clinic last weekend in San Diego. We value education for our coaches and try to get the entire staff to clinics as often as possible. Having them in the Southwest/West Coast allows us to provide that opportunity to more of our coaches and more frequently. We were able to take 6 coaches this weekend. We stopped for dinner in Vegas on the way home to St. George, and I asked my coaches to tell me 1) what was the most valuable talk they heard, and 2) which idea will they implement this week. Cathy (11-14) — most valuable: that the overall time, effort and dedication IS WORTH IT, even if we don’t see the immediate effects. She is going to put together two or three powerpoints that we can use with our team for parent meetings and Team Week. We can use them to share what we learned with our other coaches. Allie (10&U) — most valuable: that we should demand more of our younger kids. Don’t baby them. She liked your presentation of how you run your 10&U group. She is going to plan her workouts to bounce between comfortable and uncomfortable drills and skills. Josh (10&U) — most valuable: that we should spend less time repeating ourselves and more time giving kids chances at leadership. He is going to try saying it once to each kid and allowing them to get lost thereby challenging them and communicating expectations. Becca (11-12) — most valuable: teaching starts Bob Steele style. She and I are going to run the start progression during dryland this afternoon, and starts on Friday. Me (Dani) (11-14) — most valuable as a coach: elements from both Coach Beth and Coach Dale about distance training and distance planning. I re-wrote my entire season plan based on Coach Dale’s presentation on Saturday! I am excited to try out something a little out-of-the-box for me. Most valuable as a Director: that parents are not my friends, they are my clients. We all decided that the thing that impacted us the most was when you told us about your “Aunt.” Few of us start out coaching unless we want to make a difference. Your Aunt’s words were poignant — children are starved for so much more than food. I hope, wherever she is, that she can see that she didn’t touch just one coach’s life, but all of us with whom you have shared that story. Please keep telling it. I received your note that I had been a member of ASCA for 30 years. I wanted to take the opportunity to thank you for all that you have done over the decades for coaching and American swimming. You have truly spearheaded the transformation of swim coaching from an occupation into a profession. I appreciate that you don’t back down from the good fight when it comes to principles and our sport. I get tons of magazines and medical journals at my office, but the one I enjoy the most is the ASCA newsletter. I think the brilliance of the magazine is that several of the articles you select have nothing to do with swimming, but are fantastic life lessons that can be applied to coaching or any other profession. The magazine has made me not only a better coach, but also a better person. The only swim coaching I am doing currently is Special Olympics (now in our 22 season with over 6o swimmers). I remain on the board at the YMCA Aquatic Center here in Orlando and continue the good fight to keep the facility up and running. Speaking of time passing. The daily lake swim (Lucky’s Lake Swim) I host was recently proclaimed by the Central Florida History Society as a historic event and is ranked as one of the top 100 open water swims in America. It’s hard to believe all the thousands of swimmers that have stopped by the house over the last 26 years to join me for a swim. I don’t do much wall swimming anymore, but I still hop in for the occasional open water race and also compete in underwater hockey with my sons (Two of my sons are on the USA 19-u UWH national team competing at World’s this summer in Spain). My name is Kyle Redden I coach for the Sea Dragons Swim Club (SDSC) out of Penfield, NY. Myself and my head coach attended this year’s clinic this past long weekend, and first of I just want to thank for everything you shared with us. My take away from the weekend was incredible. I was told to contact you on information about how the classes we had taken over the course of the weekend are awarded. I am currently perusing a bachelor’s degree and am curious as to if these credits are applicable towards it? Thanks again for everything, you have already answered so many of my question I hate to bother you with another. I appreciate it. ASCA has become a highly beneficial organization for coaches, parents and swimmers. The clinics, certifications, and publications are excellent. The articles are increasing relevance and professionalism – going beyond the traditional and incorporating leading and thinking in many arenas to help a coach develop all of his and her skills. My name is Ignacio Sanchez (Coach level 5) I had been out of coaching for many years. I had been an aquatics director for the YMCA for 10+ years, recently I decided to go back and start coaching again. I really miss those years of fun and enjoyment. During that time I coach at boys club and been an aquatics director at the Y it was a great experience. Now I give up my position as aquatics director at YWCA of white plains and decided to coach again. Now I m coaching the middies (not the head coach) and volunteer at Madison Dolphins at the Bronx. I really enjoy it. I really thanks the ASCA staff and they support, ASCA make me feel important as a coach. I have been a life plus member and I have devoured anything and everything that has come out of ASCA since I began coaching. I just want to send a little note saying how good I thought this course was. I am the head coach of a small club in Southern Maryland and I am going to make it mandatory for all of my coaches to take this course. Thanks again it is an awesome resource. I just wanted to drop you all a note to tell you how impressed I am with your robust coaching education program! Continuing education, in any field, is of utmost importance and keeps you on the cutting edge of research based information. Even if you have a doctoral degree or no formal education at the college level, continuing education is the key to success in coaching swimmers of all abilities and ages. I have truly enjoyed the Level 1 and 2. I am ready for Level 3! This is a must do for any coach. I have been coaching swimmers for 25 years and am always looking for fresh ideas and cutting edge information to enhance the chances of success for every swimmer on my team. I wanted to send you an email to thank you for approving my level 4 certification. My choice of careers as a swimming coach has made a wonderful, positive, lasting impact on my life and enabled me to truly make a difference in the lives of the athletes on the various teams I have been fortunate to work with. ASCA is a vital part of the progression for all young coaches, I believe that the certification process is a crucial developmental step for all of us in this profession. Our nation’s success is a direct result of ASCA’s commitment to teaching, coaching and inspiring our leaders in the sport. I look forward to more interaction with ASCA at clinics and meets. Enjoy this summer’s historic events and GO USA! I must thank and complement each of you for the prompt and specific help you have provided (without exception). I have merely been touched by the breeze of this mammoth vehicle that is ASCA – but surely the same values that are its engine have nurtured a culture that has attracted thousands across the world to its fold. And surely one that has played a catalytic role in bringing USA to its leadership position in swimming as a sport! The website is a storehouse of information and knowledge. While it could be built easier to navigate (and I am willing to try and volunteer help – not that I am an expert but I do it for our work and as long as we can keep it simple it is doable), it has all one can ask for. And one can see how hard you work to keep it all together and keep it going. Please accept my humble gratitude…via the above words. The parents loved the TEAM newsletter this month. I thought adding an article a month from your emails in a new “Parent Eduaction Section” of our newsletter would be good. Got great remarks from the parents. You are an inspiration to us coaches. Keep up the great work. Something has been on my mind for awhile as I read about great coaches. They can connect with people. They know the mechanics of swimming and can communicate those mechanics. They inspire swimmers and teach them life skills. Those are things that can be learned. Elements that I have never seen mentioned and that I observe in great coaches are their zest for life, their intense curiosity, their love of people, they find challenges irresistible and their enthusiasm for all of these elements is contagious. People want to be around these coaches! You can’t teach a love for life, a love for people or a desire to seek new challenges. But show me someone with those characteristics and I will show you someone I want to be around. On another note I look forward to the ASCA Newsletter and often save some of the articles. Three out of four times the front pages are badly crumpled. I would love it if they didn’t get tattered. I am proud to be coaching. See you in Napa in January. On behalf of the Swaziland National Swimming Association, I would like to thank you for your support of Don’s visit to Swaziland to present the ‘Foundations of Coaching’ course. We are so grateful to Don for his continuing support of swimming in Swaziland and for his excellent presentation of the course, which was very well attended. We often feel overwhelmed by our lack of facilities and limited time, as we are all volunteers, but Don’s positive attitude, enthusiasm and vast experience have helped us with prioritizing our limited budget and energy. Many thanks again for your part in Don’s visit; it is all very much appreciated in our little country! Amen! Amen! Amen! Behold Penn State. And behold, and be beholden to ASCA and to John Leonard for all the advocacy work done in the World (with a capital “W” because there has been world-wide help too) of swimming to cry out against the wrongs, and oppose the evils in the sport, wherever they appear. We Can all say “drugs” and “suits” and “athlete centered” and “democratic process” etc; etc. And who knows how many uncountable and even more severe evils have been prevented; reduced; stopped because of it. Lots, is my guess. Many thanks again, John, for keeping our organization “on guard,” for keeping ASCA on the high road, and for taking action when action is called for. Good on you, and good on ASCA! Thank you, world, for joining! Just a thought I was thinking today. Thanks for reading. First, thank you for all of the hard work you put in at ASCA on my behalf. I appreciate all of the opportunities I have to become a better coach through your organization. Thanks! Kudos to you and ASCA for making this clinic happen. I have read the article by the Heidary’s that was in the ASCA Newsletter a while back. Outstanding and inspirational for coaches, parents, business leaders alike! They are long time Vasa customers and I need to get in touch with them to thank them for their contributions. I have been a member of ASCA for many years, and I owe everything that I have learned about swimming to ASCA. I encourage and demand that me assistant coaches belong to ASCA as well, because I feel that our membership is important for their development as coaches. I believe it is important that American swim coaches pursue further knowledge in the sport of swimming, to ensure that our country remains number one. As I mentioned earlier, I would like some guidance from ASCA on how to move up in my career as a professional swimming coach. Of course, every coach’s dream is to be on the Olympic Coaching Staff, but I want to make the proper steps to attain that goal. Please review my application and hopefully ASCA will help me to reach my goals. First to congratulate you and your team on the phenomenal achievement of 7300 ASCA members. These things don’t happen without a lot of dedicated effort. Thanks for making us all proud to be part of the sport of Swimming! Secondly to let you know I receive a few dozen publications every month from various sources but mainly from all the Olympic sports. I can honestly say there are only a couple that I read in their entirety as soon as I receive them and one of those is the ASCA Newsletter. Thank you for your enjoyable article on training in the recent issue of SwimNews. You’ve always had this wonderful knack of being able to put your thoughts down in the most interesting way! You are an International Treasure! I just wanted to reach out to you to express my gratitude for the wonderful clinic you gave on Coaching at a swim meet. I picked up a wealth of information that I will be able to provide to my swimmers. I really look forward the the ASCA clinics, this was my second time going and after each of the clinics that I have attended I come back more inspired and ready to go at full force. I have been giving the Head Coach Title of a team in Aguadilla Puerto Rico going into my second season with the team. The first year was kind of rough for me but I was able to complete the season with my team finishing higher than ever before at our national meet. Thanks to the ASCA organization. I look forward to staying in touch with you and keeping you up to date on the progress of my team. I wanted to thank you for a great fellows experience at this year’s convention. It was both an honor and a pleasure being able to hear from you and the others throughout the week. Your talks in specific were inspiring and thought provoking for our group. I am excited to get going on the project aspect of the Fellows 11 class and I look forward to working with you throughout the year. I wanted to take a moment to just say thanks for giving me the opportunity to be an ASCA Fellow this past year. I cannot believe this year is over already, but looking back on it, I met some great people and learned a TON, and can only hope that our Fellows Class X did right by the project and that the information we gathered and submitted will in some way make a positive impact on our swimming world. Additionally, through the process, Kathleen Klein-Prindle and I have become great friends which has made the year and experience even better. Thanks again for the opportunity. You have inspired myself, my family and my children (who are junior members of Luxembourg team) over many years. I have swam for many years at International Masters level Worlds and European, my partner as a member of German National team; etc. We have recently set up our own website swim-trainer.com that is a mixture of eCommerce focusing on iPhone applications, eg. training plans, SwimData bank and the first iPhone 3D swim game.I have been driven by the technology angle of computer watches to increase their functionality I worked closely with the two leading manufacturers of these products. 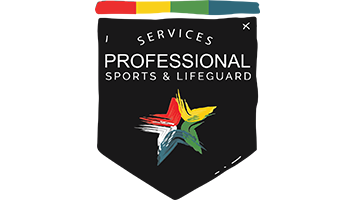 However as a part time coach,referee and supporter of swimming we wanted to add a large part of our site as a community site as we fundamentally care about swimming and love the sport. I have downloaded many articles to friends within swimming plus my own students on articles on Nutrition, Technique, Stroke, Dryland Training, Open Water etc over the years. Our site will have a dedicated area exclusively devoted with free unrestricted access under the subject Swim Library covering the subjects Technique, Stroke, Dryland Training, Open Water etc so our readers and swimmers can inform themselves of a variety of sources and topicality. There will be no news as such but articles so this in no ways tries to imitate the feel of ASCA. You get a major gold star in my book. So many times I have NOT received timely responses from organizations, etc., and I sooooooo appreciate your quick response. I love it when people do their jobs, and you rock! Feel free to forward my kudo to your supervisor!!!!! I just wanted to let you know that we hired two new coaches thanks to your job service. The response to the ad we placed on the ASCA website was tremendous and I just wanted to thank you for working with us on this effort. You even posted the ad while you were out of the country! Your effort does not go unnoticed. You guys are awesome. Extremely helpful service and excellent customer service. We had an outstanding response to our job posting. We appreciated the visibility the site gave our job search. Thank you for your quick and positive reply. We have filled the position we have advertized on the ASCA Job Service. Thanks for the opportunity to utilize the service, it proved very effective for us. Thanks for your service. We had a very strong response. We have gotten a small but pretty talented group of applicants for these positions. I know that no other job listing in the world gets the varied, eclectic coaching/aquatic administrator group that ASCA gets, so I am very appreciative! Your efforts are greatly appreciated. Thank you very much for all you and ASCA do for swimming. The position has been filled! Thank you very much for your help. ASCA’s service was a success and we have hired a head coach. Thanks, very much. Thanks again and we received great responses from the add we placed. The Head Age Group Coach position we listed has been filled as well as the other position previously listed. Thanks for your help! What a great service!!! We received way more responses than we ever got from the LSC website. Thanks so much Guy. So far we’ve had over 30 applicants so it seems to be going very well. Thanks for the follow up. I think we have found our coach and are finalizing the contract terms at this time. Thank you so much for all of your guidance through this process. Thank you so much for your input! Your input is valued and appreciated. I would strongly recommend that you advertise on the ASCA (American Swim Coaches Association) web site. They have a process to go through that is very beneficial to help you analyze what you want to do and how to find a great coach. I am forwarding your email to Guy Edson at ASCA. I am sure he can help you get started and point you in the right direction. When I was job hunting I only looked at or applied for jobs that were on the ASCA site because that way I knew the parents group was organized and planning how to be a great, stable team. Guy, Really appreciate your putting that ad in, have over 30 responses already. Again, many thanks. Thank you for taking the time to answer my questions earlier. Thanks, Guy! I truly appreciate your time and help. You have been terrific! I wanted to inform you that we are happy to report that we have successfully filled our head coaching position for the Findlay Area Swim Team in Findlay, Ohio. I appreciate your assistance in our search. We would like to thank ASCA for their service in being able to get the word out for us so quickly. We received many qualified applicants from your site! Thank you again for your help! We found our coach through your site, and we really had to find someone local to fill this one quickly, so it worked out great. We had a tremendous response. I was really pleased with it. Thank you for all your assistance this morning – the information was really helpful. Great ideas! Thanks again. Since you were so much help in the past with me posting an ad for Sea Devil Swimming I thought I’d try your service again! Thanks for your assistance. We had an overwhelming response. Thanks for your help and service. Thank you for responding so quickly! I know you all are busy with conventions and appreciate the extra time to help us out. I am happy to report that we have a new head coach at Temple Area Swim Club. Thank you for all of your help in our coach’s search! As wonderful as ASCA has been, we hope we don’t require your services for a long time! Thank you for providing the evaluation service as well as the posting service, it was well worth the money & effort. We had 19 responses in just the 2 weeks it was posted. Wouldn’t want to go thru the personnel search process again without using your service. Thanks. This was an excellent service and we could not be more pleased with the quantity and quality of the applicants. Thanks so much Guy! Awesome service! Thanks again – it worked out quite well and we had an enormous response which I mainly attribute to the ASCA Job Service. Listing with ASCA resulted in numerous qualified candidate applications. Awesome topic this week. I have been trying to stress this to some of our parents. This was an EXCELLENT article, so articulate and telling. Although focused on the younger “hot shot” swimmers, many pearls of wisdom for all of us Swim Moms and Dads. Thanks. Thanks Guy! And the last newsletter sent out has been POWERFUL for our team and Great Falls. I’ve actually had a sit down talk with my older groups and my coaches follow lead with their groups. And parents have spread the newsletter out into the community through the schools. Most impactful one yet! Thanks for that! This is another great newsletter! Your contribution to the development of USA Swimming is invaluable. These newsletters are of tremendous benefit to me as a coach, in many cases giving support to our philosophical approach; and supports the fact that in most cases we do know what we are talking about. As part time coach it would be impossible for me to duplicate the information you send out. I don’t know how much feedback you get but the newsletter for me is one of the great benefits of being a member of ASCA. Thank your wife and you for making the long journey to Sydney for Forbes’ 90th birthday. I want to thank and congratulate you on your presentation. It encapsulated the thinking of several of us as well as bringing to the fore the impact on world swimming that Forbes has had throughout his career. It was a deserved point that was most appropriate for the occasion. I wish also to recognize the fluency and poise with which you made your presentation. Such performances can only benefit the organizations in whose name they are made. I hope that the appropriate sectors of ASCA recognize the good that they reap when such representations are made with such consummate skill and courtesy. It was a masterful presentation and I was particularly pleased to have the US represented thusly. I trust that the ASCA Clinic in San Diego will be an outstanding success. I regret that I will not be in attendance as I have a marriage obligation in Hawaii. I would have liked to extend some courtesy to you during your time here. Perhaps next time? Your presence in Sydney was a wonderful gesture. I know it was very much appreciated by Ursula and Forbes.